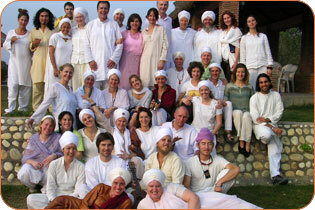 During his lifetime Yogi Bhajan gave thousands of spiritual names to those students who requested them. When you request a spiritual name, giving a contribution is important. This conscious exchange of energy brings to your awareness the value of what you are receiving. We encourage you to make a contribution when you request a spiritual name. Who gives spiritual names today? Yogi Bhajan gave a spiritual name to anyone who requested one. For over thirty years, he trained his Chief of Staff, Nirinjan Kaur, in how to determine a person’s spiritual name. 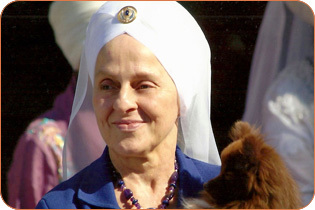 Today, with Yogi Bhajan’s blessings and using his technology, Nirinjan Kaur carries on this tradition. Click Here for more information.